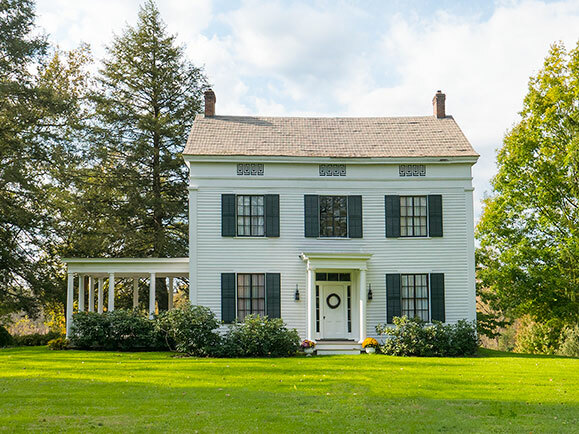 Carefully restored c. 1840 classic Greek Revival center hall has handsome entry porch, original door (with transom and sidelights), elegant hallway and stair. 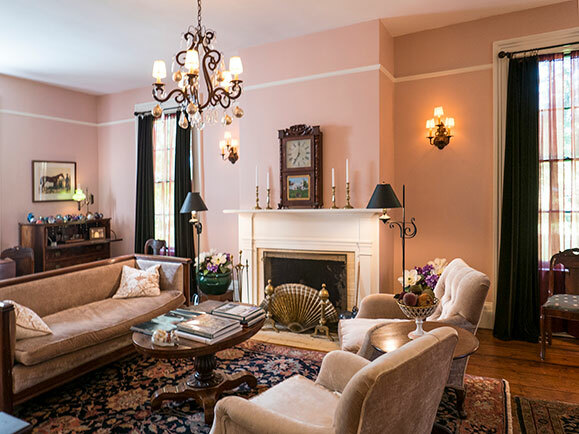 …A large front to back parlor has fireplace and windows on three sides and is opposite an elegant living room (with fireplace), which leads to a large columned open side porch and a formal dining room plus a charming dining nook in a bay window. The back wing has an open kitchen with timeless cabinets and soapstone counters, and a full bath. Upstairs are four spacious bedrooms, an office, and two baths. 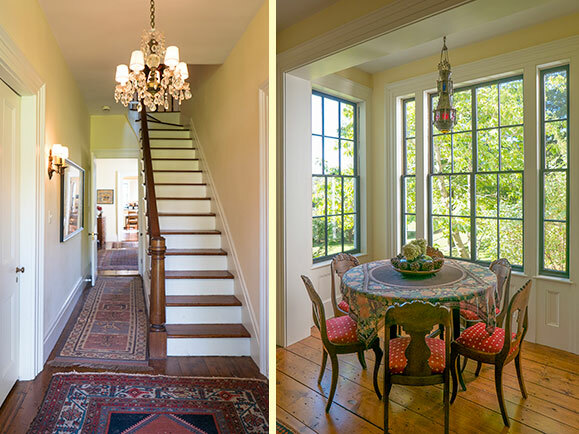 Beautiful wide floor boards, original doors and hardware are throughout and tall windows provide wonderful light. 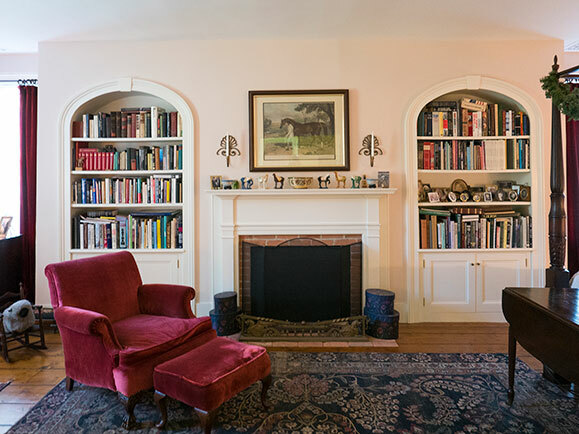 Full basement, attic, and three-car garage allow for ample storage. The property includes four parklike landscaped acres with tall mature trees. 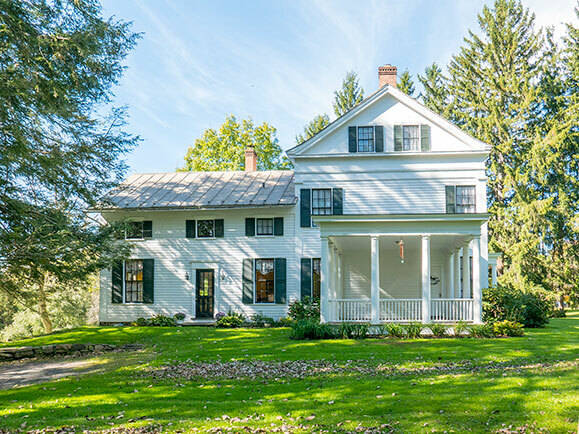 This is a magnificent house for entertaining, nestled in a cluster of some of upstate New York's most historic houses including the 1785 Georgian Ludlow house across the street.